Most of the Lexus line-up has been updated with the company's unique design language. Whether you love it or hate it, most of the company's cars are impossible to confuse for something else. But during this time of transformation, the flagship LS sedan has lingered with a very mild, sedate shape. These spy photos show the LS has gone under the knife. That being said, we can't really say how different the LS is going to look for sure because Lexus has employed some impressive camouflage. 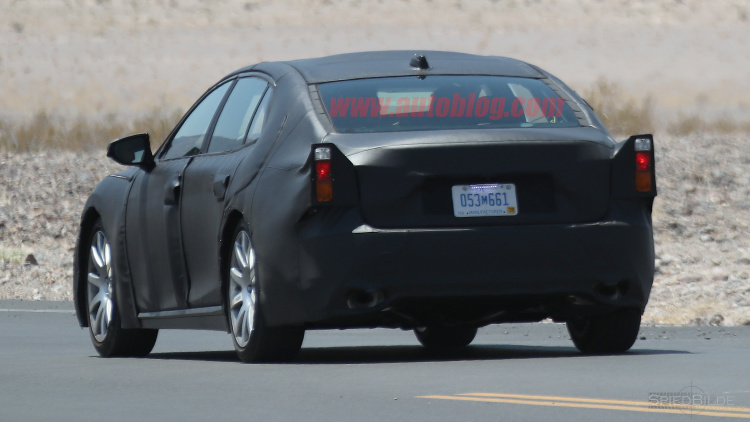 If we didn't know better we'd say it looks like the LS is going retro with round reflector headlights and some rear tailfins. But we do know better, so don't look for those features to make it to the production model. 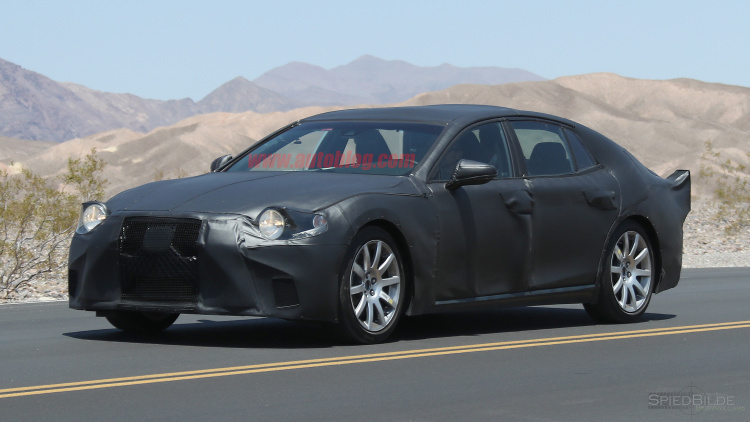 What we can make out is the lower half of the Lexus "spindle" grille. The camouflage wrapping is pressed up against a trapezoidal shape at the front reminiscent of what we've seen on other Lexus models. It looks like a large version of it as well. This Lexus seems to still be quite long, and based on where the rear passenger is in the photos, it still seems to have loads of space for rear passengers. It's difficult to tell if this is a long wheelbase model or a standard one, but if it is long wheelbase, it's proportioned quite nicely. 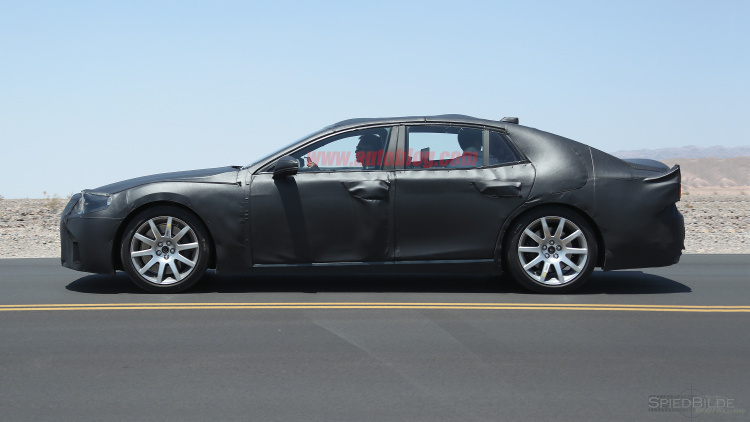 It looks like there will be quite a large C-pillar on this LS too. Our spy photographer expects this car to be revealed next year as a 2018 model available with a V8 and possibly a hydrogen powertrain. So if you want one of the last low-key LS models, you'll want to get the current version because its days are numbered.